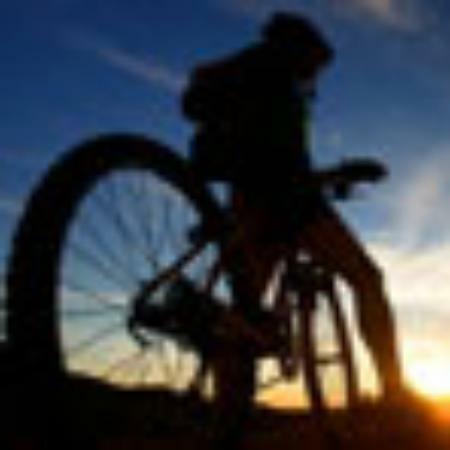 Great location and Great service! 6 of us stayed at the Villa Capri for 6 nights. We loved the location, service and atmosphere. Escaping to Bali for a relaxing break, after shopping, eating or site seeing each day, we couldn't wait to get back to our Villa to relax in the pool and spend the hours laughing, and enjoying our time there. The service from Dovi our Manager was great, the phone provided is a great idea. Jerul our house keeper came each day with a smile and her service was fantastic. We even asked her arrange breakfast one morning, she cooked up a storm for us and enjoyed it so much we asked her to do it again! The driver on offer was more than happy to service our needs also. 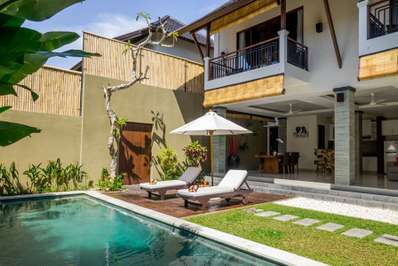 The location was off one of a main streets in Seminyak that had great restaurants and bars. A nice walk to the beach. Good shopping all around. Enquiring about and booking the Villa leading up to our stay was also good. I will be using these guys again. And happy to recommend them too. Loved our stay here with it's fantastic location, friendly staff. Great size pool and communal area for relaxing. We will be back for our next girls trip! Clean,tidy and very helpful manager and staff. Stayed at the villa for a week with a group of seven girls to celebrate two 50th birthdays. Staff assisted with organising in house massages and taxis. The breakfast was fantastic and varied each day. Cooked in house which was very pleasant. Gero was a beautiful host and was keen to assist as much as possible to make our stay enjoyable. Private and secure villa in awesome location. The staff , especially Ari , were very quick to accomodate any request and the manager Dovi did a great job organising us a driver plus 2 motorbikes for the duration of our stay. Breakfast was good. Wifi works very well. Very quiet area and a short bike ride or walk to restaurants. 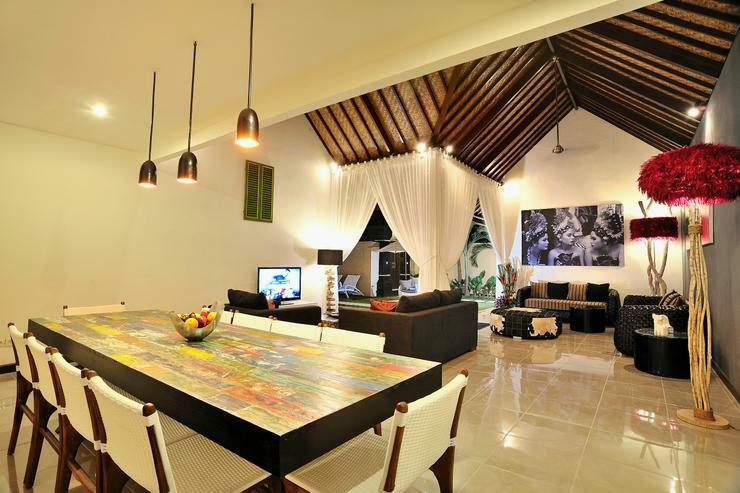 Huge living area and comfortable rooms Pool just perfect Would definitely recommend and would most definitely return ! A little bit of TLC required. My friends and I (four of us) stayed here for a week in the middle of November. Booking was easy, and we had all the information we needed for our stay well ahead of our visit. The villa is in a fantastic location but perhaps a little off putting by the laneway that you must walk down to get to it. Upon entering it was evident that it was a little tired. The pool felt gritty at the bottom, and it was missing a couple of tiles, one of the room locks wouldn't work which wasn't ideal, and the aircon was really average in one of the rooms. The living space was perfect, as was the long dining table, however the kitchen was very old and tired. The maid was extremely helpful, and we could not fault her. For light sleepers...be warned that the fourth bedroom (which is the small one tucked away near the kitchen) can be quite loud. There is a family living right outside the window there and they are up quite late talking very loudly. It was quite frustrating. We did get what we paid for, as it was very reasonably priced. But in hindsight we do wish we'd spent a little bit more and stayed somewhere a little less "tired". 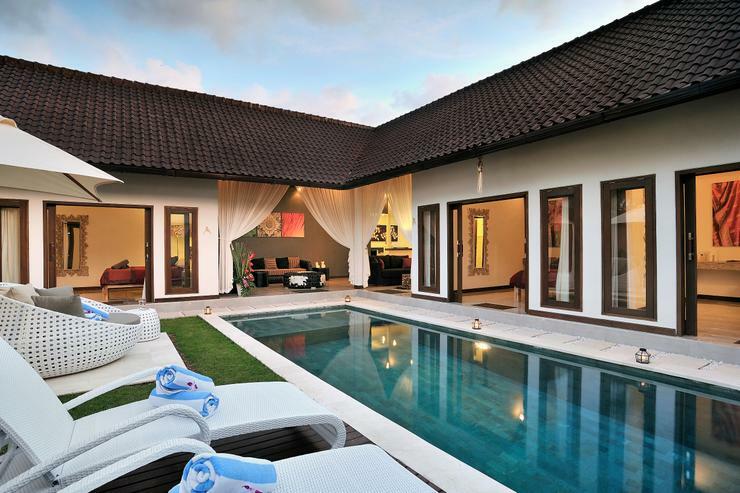 This 4 bedroom villa was perfect for our girls trip to Bali, allowing us each our own room and plenty of outdoor living space. 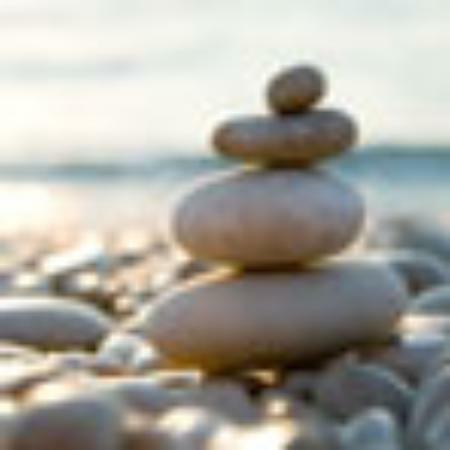 The location was excellent, great walking distance to restaurants and shopping. 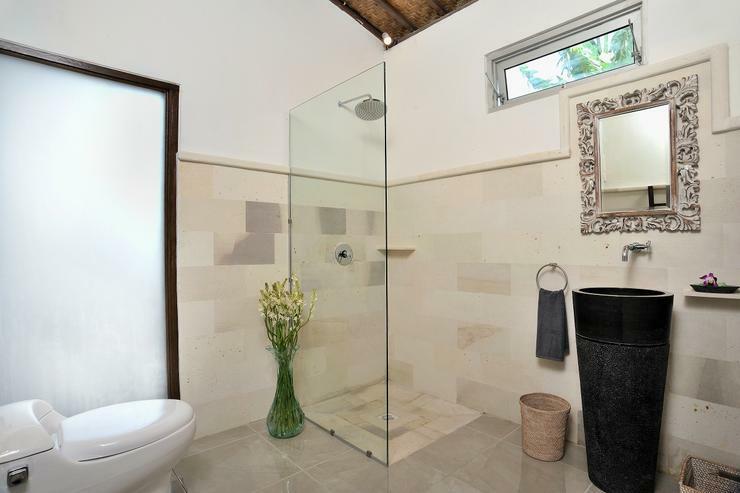 The cleanliness of the bathrooms and kitchens could have been better, that would be the main downfall. There was one door which the lock was very hard to work but I am sure that will be fixed in due course. I stayed here in September with friends and we loved the location!! We could easily walk to the beach and restaurants or jump into a taxi. 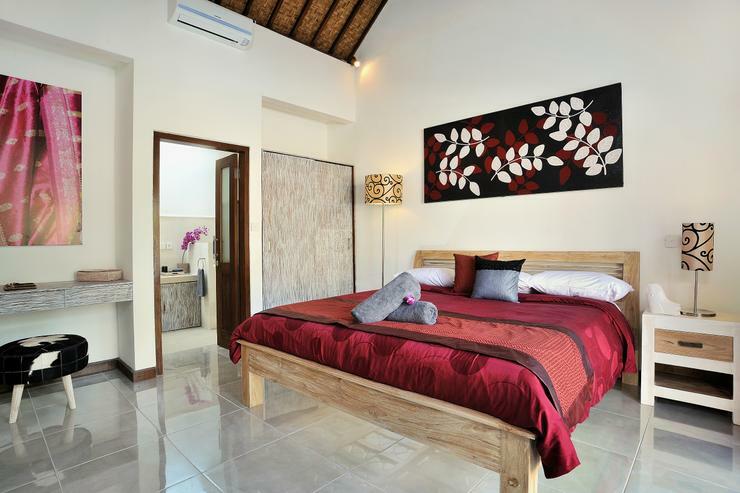 The villa had great staff and we loved how it was private and away from the road down a little gang and very quiet. Great place to be close to the action but enjoying the peace and tranquility when at home. Highly recommended! 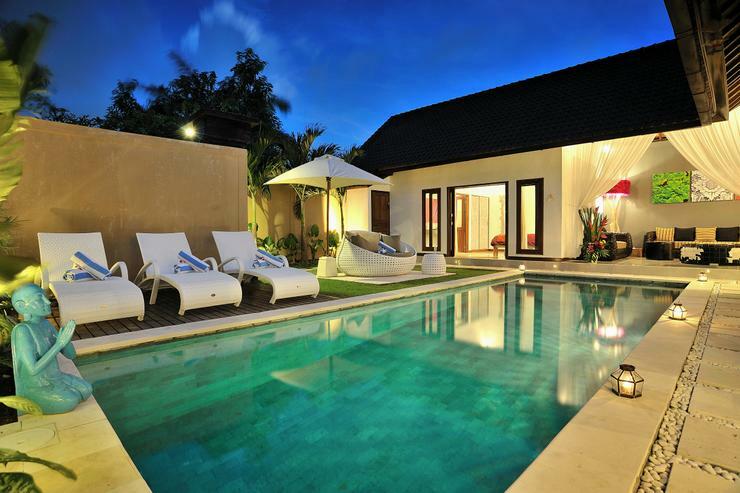 The villa is walking distance to all of Seminyak’s best beaches, shopping and restaurants. 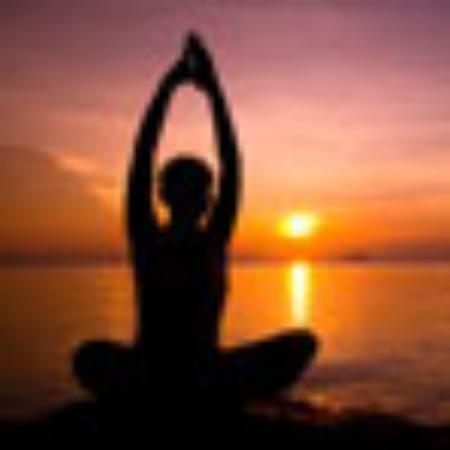 It is located on Jl Oberoi, Gang Cargo No. 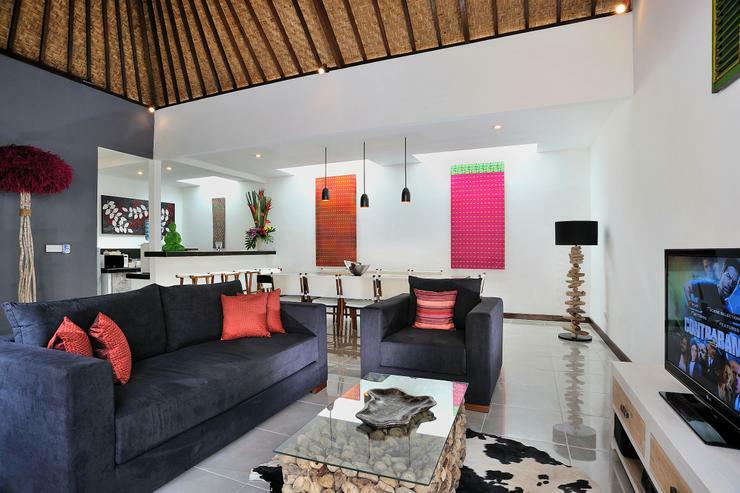 11, Seminyak, so right near all the popular Seminyak hot spots such as Champagne Bar, Cafe Zucchini, Magali Pascal, Paul Ropp, Billabong, etc. There is also a supermarket directly opposite the laneway. In this area you will find all of the favourite restaurants such as Ultimo, Rumours, Trattoria, The Junction, Cafe Bali, Champagne Bar, La Favela, Mama San, Kaizen, Chandi and of course the best beaches at Kudeta and La Lucciola. 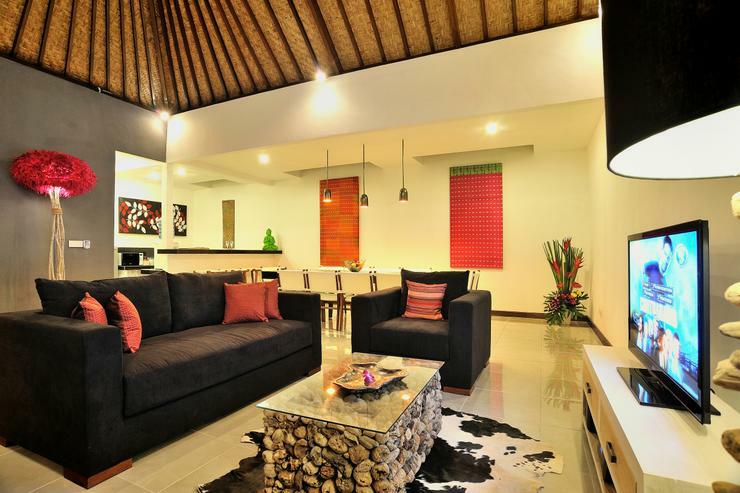 It is situated in one of Bali’s most popular and sought after areas. 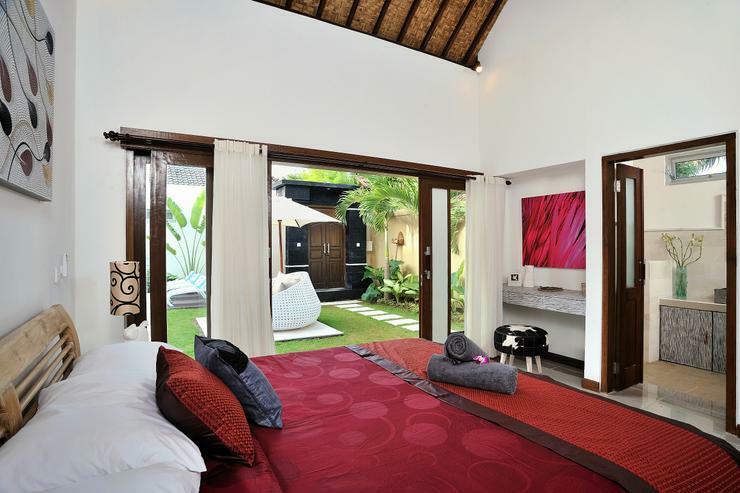 You simply walk out the door, and all that Seminyak has to offer is right there for you to enjoy. 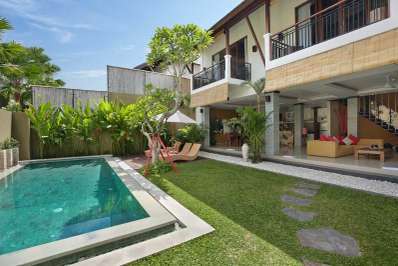 Upon entering the villa, you are greeted by the sunbathing and swimming pool area. There is a decking area and grassed area around the large swimming pool, which also has an inbuilt ledge area for younger children to enjoy, without going into the deeper area of the pool, so nice and safe. The pool is surrounded by sunbeds and an Orbit daybed for lounging. The kitchen has all you need and an open plan dining area and a modern 10 seater dining table for you and your guests to enjoy and entertain.There are two lounge areas within the villa, one overlooking the pool and the other situated in front of the tv viewing area.There is a 42 inch satellite tv offering cable tv, dvd and sound system which can be played via this system. The cable tv stations offer over 100 tv channels for your viewing pleasure. 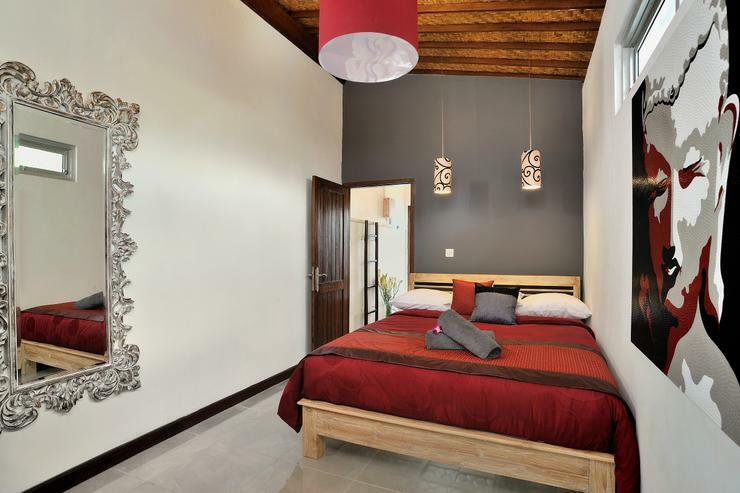 The bedrooms have been tastefully decorated each with air conditioning and their own ensuite. 3 bedrooms overlook the pool area. There is free wi-fi service for you to use, we also give you a mobile phone with local number for you to use during your stay. 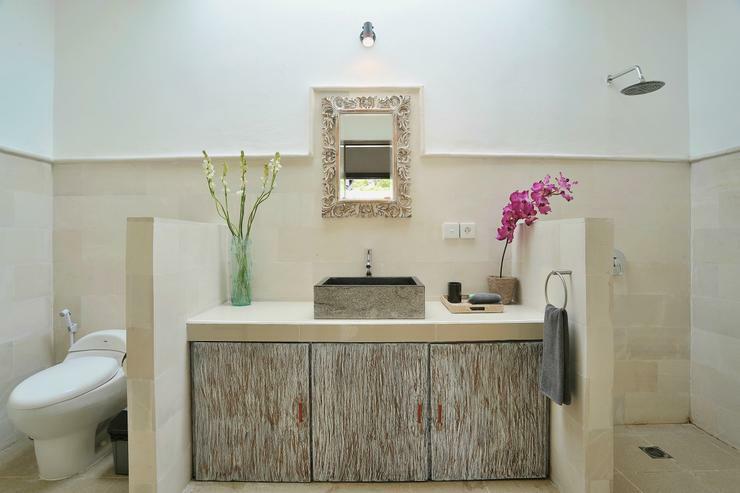 Perfectly situated in Bali’s most sought after area, just a few steps outside and you will find yourself in the heart of Bali’s most creative hub.